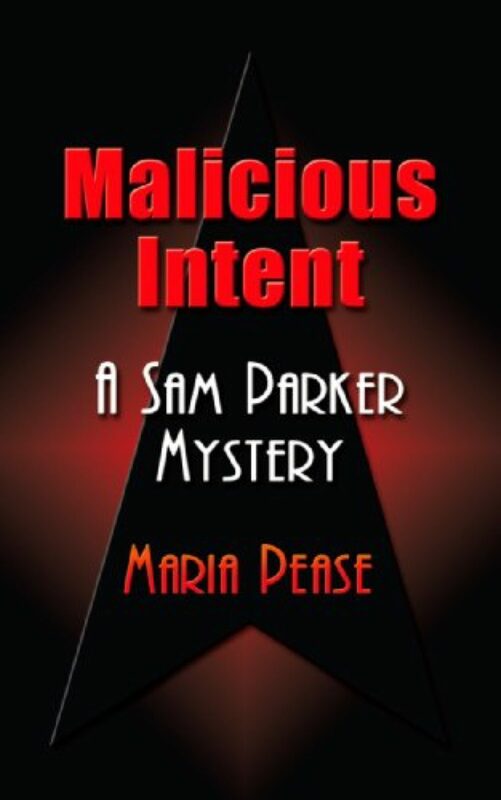 Maria Pease, creative speaker and author of Malicious Intent, Malicious Secrets and Malicious Desires, the Temecula Valley-based Sam Parker Mystery series, is now available to speak at your next event. Maria will tailor talks to your individual group and enjoys an environment where the audience can ask the questions that they are curious about. Known for her humor, accessibility, and down to earth style, Maria is the perfect choice to speak at your next event. I prefer to book engagements 6 to 8 weeks in advance to allow those who would like to purchase a book for signing enough time to do so. I can not always bring books for purchase to the event but will provide ordering information, author bios and speaking information at the time of booking. Call Maria at 951-347-3715 or email her at [email protected] to schedule her to speak at your event or for additional information. A great way to provide information to your group in a new and fun way. Break up the monotony of the regular routine. Engage the audience and teach new ideas. Adds to and supports subjects they want to know more about. Gives the audience the opportunity to learn from someone who has personal experience. Allows for question & answer sessions and encourages participation. In order to be sure the visit is beneficial, planning is vital. Here are some tips to consider when planning to have a guest speaker at your next event. Clearly identify your objectives in inviting the guest speaker such as what you want the focus of the visit to be. Obtain additional information and/or biographical sketch in advance to prepare an appropriate and hopefully, an enthusiastic introduction. Plan for the guest speaker at least 2 months in advance. This is most important for authors so the audience can purchase books for author signing if they are interested in doing so. Discuss with the speaker, well in advance, exactly what you would like addressed in the presentation and your time parameters. Clarify the speaker’s thoughts on accepting questions. Confirm by telephone or email the guest speaker’s presentation several days in advance. The most important aspect of hosting a guest speaker is to PLAN AHEAD. Provide the speaker as many details as possible in terms of the chosen subject of the presentation and format of the presentation (interactive, informative), the time frame available, introductions, the audience interests, and experience and the expected attendance. Choosing a creative speaker who is knowledgeable and fun will ensure that your event will be a great success! Call Maria at 951-347-3715 or email her at [email protected] to schedule her to speak at your event or for additional information. I offer very reasonable rates.